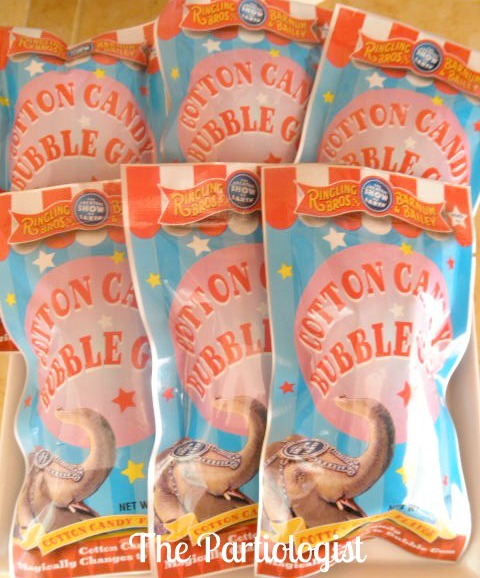 Every Circus has cotton candy and this Circus was no different. Well, kind of different. It had four kinds of cotton candy. I really love cotton candy, so I made sure I had enough just in case some melted in my mouth, not in my hand. 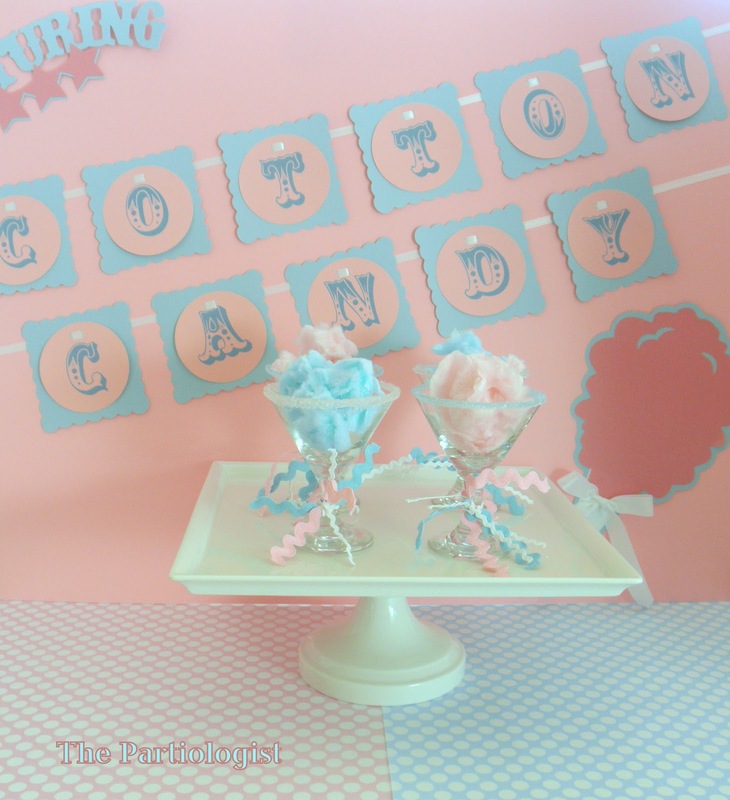 The backdrop was made out of foam board and paper squares cut with my cricut. I used a large round paper punch to cut out the letters I printed on the computer. Strung the letters with white ribbon and white crepe paper streamers (which I bunched together and glued to the back of the board). I even added LorAnn cotton candy flavoring in the frosting! But did I stop there?? 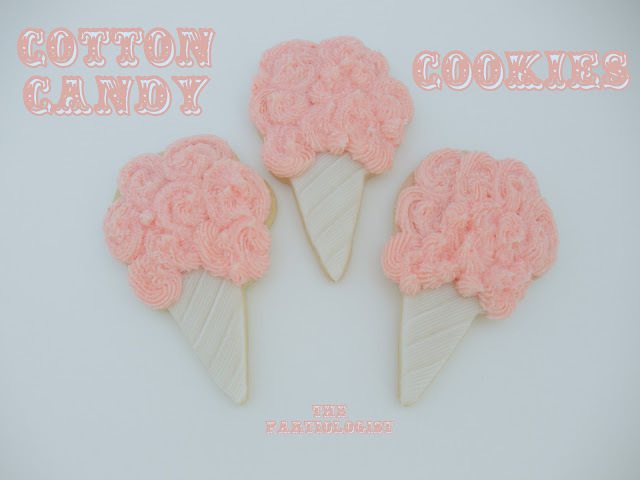 How about some Real Cotton Candy? Really, I didn't make the cotton candy, I just bagged it up...cute! And you can too. 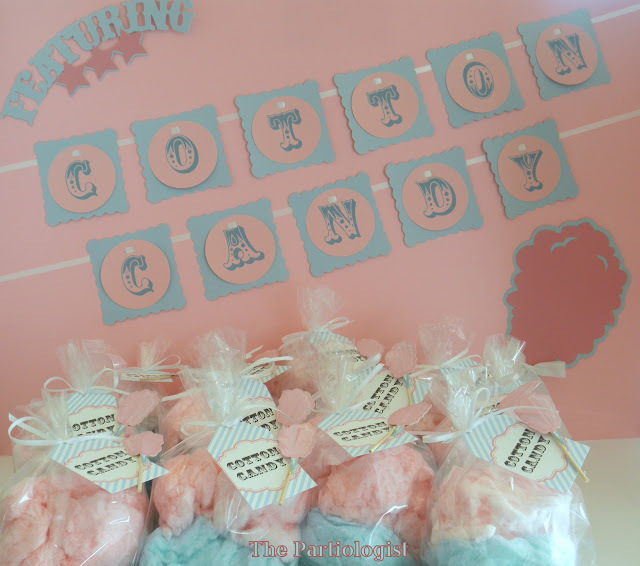 Purchased containers of cotton candy (Sams Club) and printable LABELS I made for you! 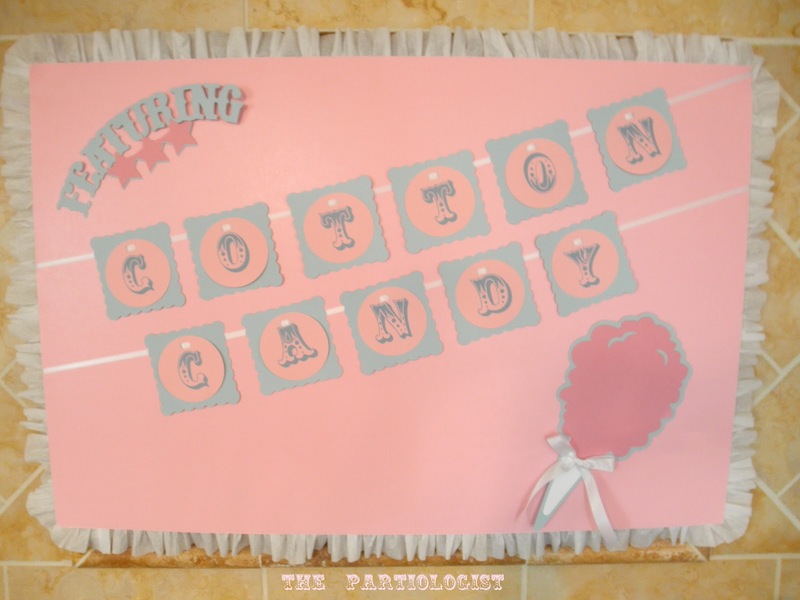 Added a cotton candy cupcake topper (Hobby Lobby) to each tag. 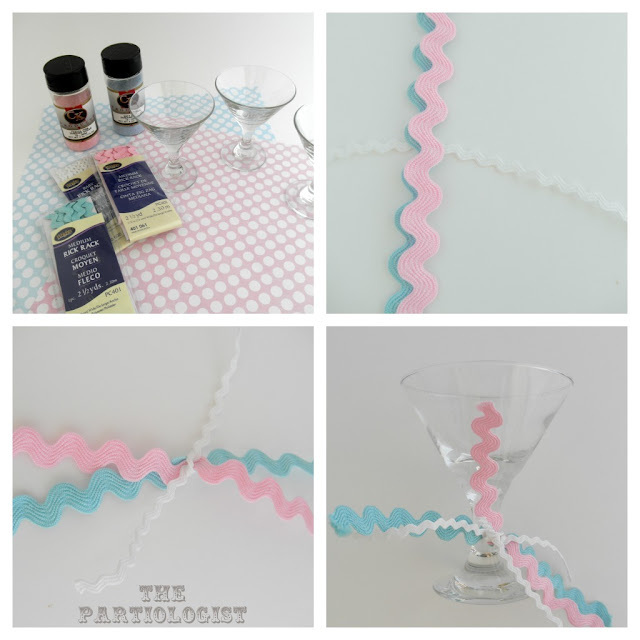 First I tied pink, blue and white ric rac around the stem of each little glass. 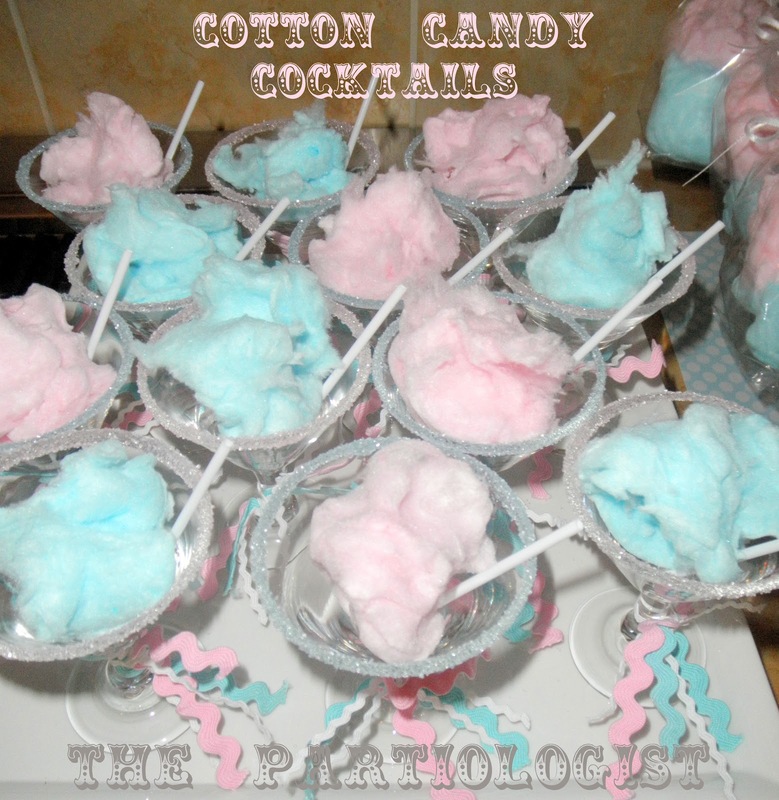 Then they were rimmed with pink or blue sanding sugar and filled with puffs of cotton candy. To celebrate at the circus, we poured sparkling wine over the cotton candy and watched it melt away leaving a cotton candy flavored cocktail. After tying the ric rac on each glass, dip rim first in kyro syrup then in the sanding sugar. Soooo Handy Dandy for serving my Cotton Candy! Did you know they make cotton candy gum? Yes, they do! I found it at Michaels. 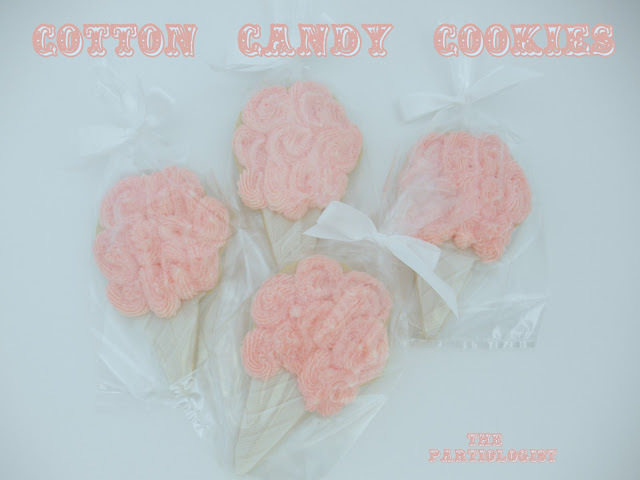 Get Your Cotton Candy Here!! Paula, you're as sweet as my cotton candy for always leaving me comments! Thanks! These are delightful! And you are getting really good at your printables, too! Very cute! 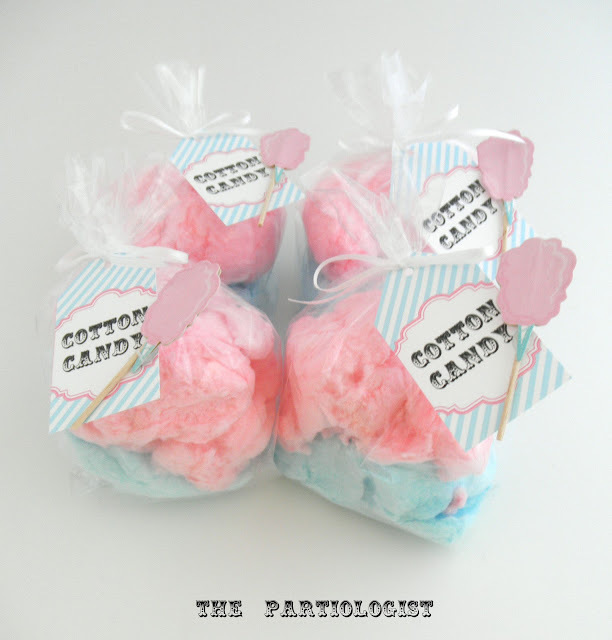 Oh, I have a weakness for cotton candy. Love this post!! Oh my goodness. Your guests go home with SO many treats. Unless maybe you invite a lot of people :) If I'm ever in your area I'm coming by to your party :) hee hee Treats here I come.